Click here to watch the second video on helping prospective clients know you can help them. 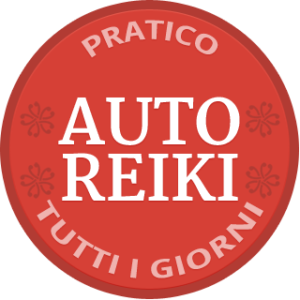 It's vital for Reiki practitioners to establish that they are trustworthy and credible, but how to do that? This video offers practical solutions you can start using right away. 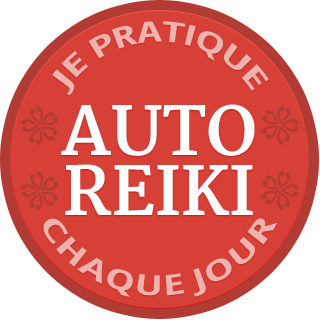 The Self Reiki badge is available for free in 31 different languages! 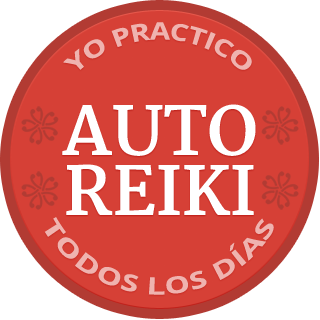 To show the world you practice daily Reiki self treatment, grab your badge in your language here. Thank you for this video series Pamela. I am revisiting my Reiki outreach to attract more Reiki clients and I understand the wisdom you share promoting Reiki daily self practice. Kind of like the O2 mask speech we hear on every flight, and wise words. My main question is that I am a recently retired nurse of almost 50 years, and would like to condense that to one or two brief sentences (life experiences) during an encounter! I am a Reiki Master of many years, and now entering into a more active professional practice. Any brief tip you would be willing to share? Thank you. I also have been thinking about a Facebook presence, and you have convinced me. Thank you for all you are doing to bring more Reiki to the planet and to healthcare!! All my best to you!! Congratulations on your retirement and second career, Krista! The first step to writing the two brief sentences you mention is to get very clear what you want to say. However, it’s more important to be present with the person in front of you and engage him/her, rather than launch an elevator speech. Thank you again. This video is very helpful. I went through all 4 ways to show my credibility trying to evaluate where I am good. I do practice self-reiki, at least short session every day. I do learn how to be less defensive and don’t take personally if somebody questions what I am doing. It was not easy but I think there is a progress. And now I have to think how to connect my education and 20 years of experience as a chemist, scientist and engineer to my Reiki practice. And yes, once it really worked. I had a client, young men who worked as engineer in some company. He came to me with a lot of doubts about Reiki but decided to try it anyway for his emotional problems. During our conversation I told him about my previous experience as an engineer (which I usually don’t do). Later he reviewed his Reiki experience with me and emphasized that the fact that I used to be an engineer and researcher impressed him and created more trust between us. 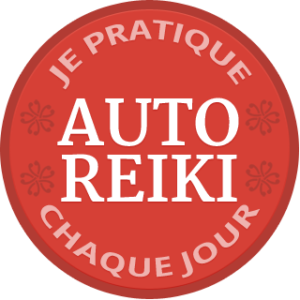 I had an a-ha moment with your statement “You are a walking product of Reiki practice” — I had never looked at it so sysinctly. Thank you! Wonderful wisdom in this series! Thank you so much for sharing Pamela. I especially like these exercises you have given. Lots to think about and to begin using. I definitely need to add daily self-Reiki into my life — and this is something I am going to commit to. In terms of dealing with people who put down Reiki, I come from a perspective of not being here to convince anyone of anything, but rather to offer the information. My path is my path, everyone else’s path is their own. And it’s okay if they are not in a place of being ready to accept Reiki, but they may know someone who is. So it’s always important for me to act professionally and provide the information in the best possible way that I can. Your series will definitely help with that. Cheers! PS – I RARELY watch daytime TV and yet a few years ago for some reason I ended up watching Dr. Oz on the day you were on the show and it was just as I was beginning my business. I definitely think the Universe had something to do with connecting me to you as a valued Reiki resource. Thank you for all you do!! these videos are like jewels. precious information to treasure and read again and again. thank you for sharing this information . as it builds confidence to go out there and build your business. “You are a walking product of Reiki practice” This sentence was for me the highlight of this video Pamela, that is so true. Thanks so much for all you do for us Reiki practitioners. 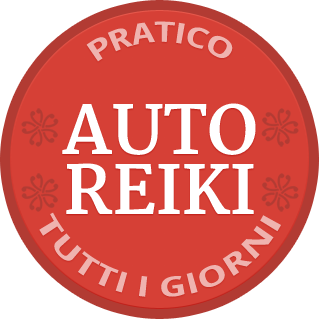 I practice Reiki everyday and that is the begining and the foundation of my Reiki business. What a golden nugget — your reminder not to be defensive. So easy to get in to that space if one isn’t careful. And a most important concept that the person and or animal is our primary concern — their welfare. Thank you. Yesterday I listen to the video and very happy, like the day before, pause and start making a list of life accomplishments well that turn really sour because I came up with just two lines . 1 Raise two beautiful children love and protect them. 2 Support and protect my husband. Totally crying I did not felt that was enough at all. Today I listen again to the video and got to the part of your advise to Review my whole life -timeline-life experiences and that will be the start of a book. Not because I am that important or my life is extraordinary in any way no, not at all. I feel by simply writing about my life experiences is connecting and helping one person to improve his / her life or get over similar events in an easier way that will make my life worth lot more than then two sentences. Thank you for your very good advice. And thank you for not being stopped by your first discouraging experience, Cristina. You showed us all how sometimes if we just take another look, there might be so much more value than we anticipated. Well done! This video was helpful to me and got me thinking in a different way about the value of sharing my life experiences in my reiki practice. I grew up living up in various countries as my father was a Foreign Service officer, am mother of two and grandmother of three little ones, and worked for nearly 20 years in the admission office of a university. After listening to you I can see that mentioning these things in some situations be important ways to connect with patients and establish credibility. Thanks for this perspective! You are very welcome, Lyn. 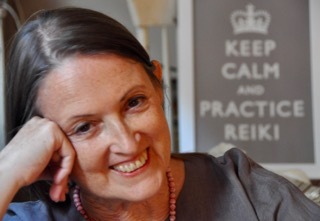 People are more likely to connect with Reiki practice when they can connect with the Reiki practitioner. I have gotten away from self Reiki every day. Any time I can have a hand free, I am always doing self Reiki on my knees (arthritic and a recent knee replacement on left knee). You have reminded me to spend more time on me in order to help others. I work at an inpatient hospice center as a secretary. I see many people and fellow employees on a daily basis. Unfortunately, I cannot offer my Reiki experience to the patients or families directly because of organizational restrictions. But, I do offer Reiki to fellow employees who are hurting-physically, emotionally and spiritually. I will offer more time to them. I will also try harder to not get defensive when professionals “poo-poo” Reiki. I am getting a lot from these videos. They are re-igniting my passion. Even though I am 72, I want to continue helping others for a long time to come. I love how Pamela breaks down the keys to establishing trust so simply, and genuinely. 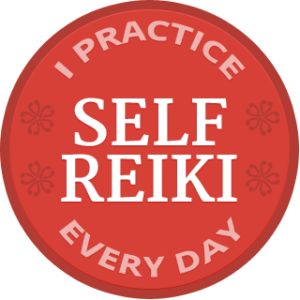 Daily Self Practice does indeed build the confidence and experience to make me feel like I’m earnest in presenting Reiki as a life improving option for friends and family. As I went through the exercise to look for relevant experiences I didn’t stop at past positions, but also included life experiences, as a daughter, a sister, a wife, and included all other life affiliations and found plenty of life experiences to draw on. I will be making a list of individuals within my network who would both benefit from Reiki as well as be in a position to recommend me as a credible practitioner. Thanks Pamela! I love to read what people find when they actually take the steps. 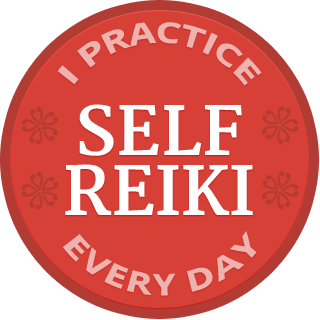 It doesn’t take much effort, but like daily self Reiki practice, we can’t just think about it; we have to actually do it or nothing changes. Thank you for this free series. You have indeed given food for thought and even though I do the things you suggest you held me review them in a new and creative way. The suggestions how to gain credibility especially in relationship to life experiences is excellent and I will be doing this. It’s important to keep reviewing what we are doing/saying. People zone out quickly if we go on automatic. Our presence makes a huge difference. I love it when I already knew something in my professional life that I haven’t been using in my Reiki professional life, and then you remind me to do it. I already knew about mining past work/life experience for credibility in a resume, for example, but had not done it. THANK YOU. Also, when you said that as Reiki Professionals, we are here to serve, it clicked for me that in all of my years in the restaurant industry (my career prior to becoming and RN and a Reiki Master/Teacher), that was what I learned to do, and to do well: TO SERVE OTHERS. Another excellent reminder that we often already have everything we need to do what we want to do. Beautiful, Karen! It’s all about serving others, on the foundation of our daily self Reiki practice. Your experience in the restaurant industry is so very relevant. Whether we are in hospitality, health care or spiritual practice, we are nourishing others and helping them nourish themselves and the world around them. Most Reiki practitioners who want to serve more people either have what they need and simply need to learn to communicate who they are and what they offer. Some practitioners also need to strengthen in a few areas. That can be done, and the communication improvement will help.